A new robot revolution is threatening to take over the world — as long as the glue and tape hold together long enough. 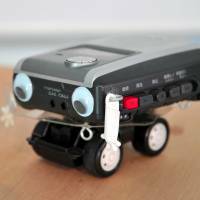 Hebocon wears its shambolic aesthetic as a badge of honor, urging competitors to build crude, primitive robots. Penalties are imposed for high-tech features and the spirit of technological compromise and surrender to limitations is encouraged. 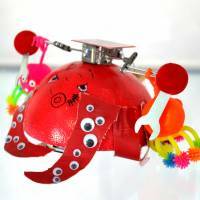 The “hebo” of Hebocon, meaning “shoddy” in Japanese, is a deliberate alternative to the slick expertise on display at Robocon, an annual robot engineering competition for students organized by broadcaster NHK. Hebocon founder Daiju Ishikawa started out with the intention of holding a one-off event in July last year, but interest snowballed and contests have since been held in over 20 countries, including the United States, Indonesia and Singapore. The event was also chosen as the jury selection of the entertainment division in last year’s Japan Media Arts Festival organized by the Cultural Affairs Agency. 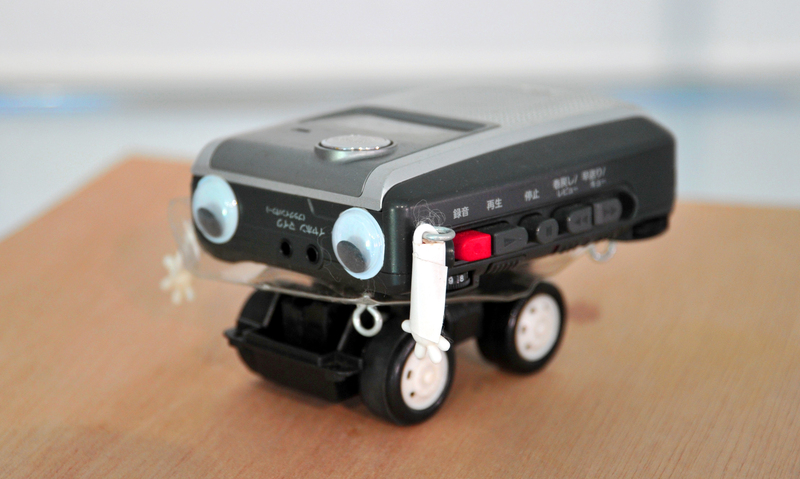 “A well-made robot doesn’t really express the nature of the person who made it,” Ishikawa told The Japan Times. “If you look at a badly made robot, where the maker has had to give up or compromise on bits of it, you get a glimpse of the maker’s personality. 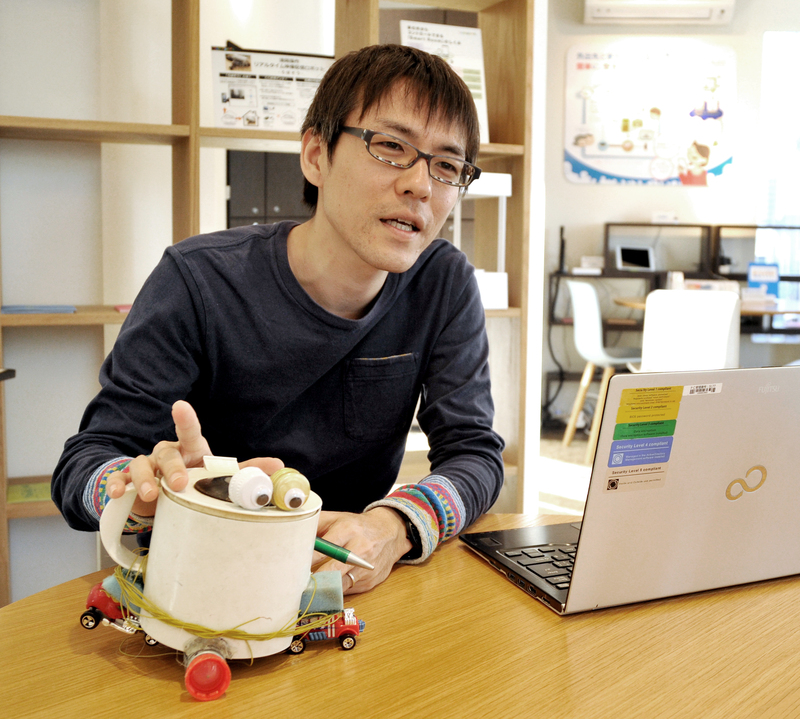 Ishikawa displayed a selection of Hebocon robots at Tokyo Design Week, an exhibition for Japanese creators that ran from Oct. 24 to Tuesday, and also held two demonstration tournaments there. 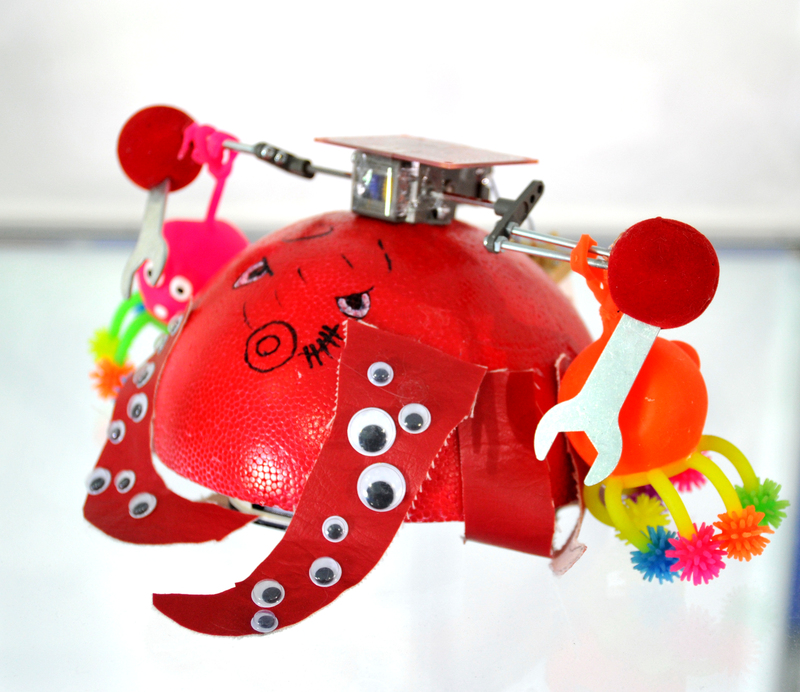 The robots on show included Takoyama Deluxe, a red plastic ball cut in half and stuck onto a radio-controlled car, then adorned with spinning plastic toys — which soon fell off — all decorated to look like an octopus. Also featured was V8, a robot made of eight plastic frogs with pump-action jumping legs lined up inside a cardboard frame. Unfortunately, the maker neglected to consider how V8 would move forward. Ishikawa came up with the idea for Hebocon through his work as an editor and writer at Daily Portal Z, a website dedicated to finding humor in the everyday and the mundane. “We have a lot of articles about making things,” he explained. “But there are also articles about people who have tried to make things and failed, and that’s interesting from an editor’s point of view. Ishikawa believes that a do-it-yourself ethos, without fear of failure, is the key to Hebocon’s ramshackle charm. “I think Robocon is a good event and I’m not rebelling against it,” he said. “But there is more than one way to enjoy making something. You don’t have to be technically skilled and make something great. You can fail and make something rubbish and still enjoy it. That’s what I want to get across. Hebocon is encouraging more people to stage events, and will provide a rule book and logo with no license fee for anyone who is interested. Information can be found on Hebocon’s official Facebook page, but Ishikawa is also urging people to take the initiative themselves.